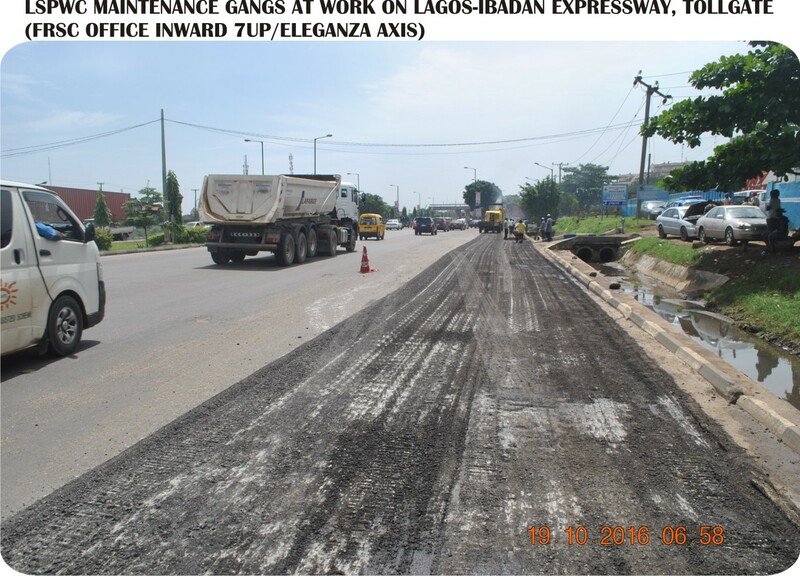 Lagos Badagry Expressway, Mowo in & outward Ibereko Barrack Axis, Badagry. 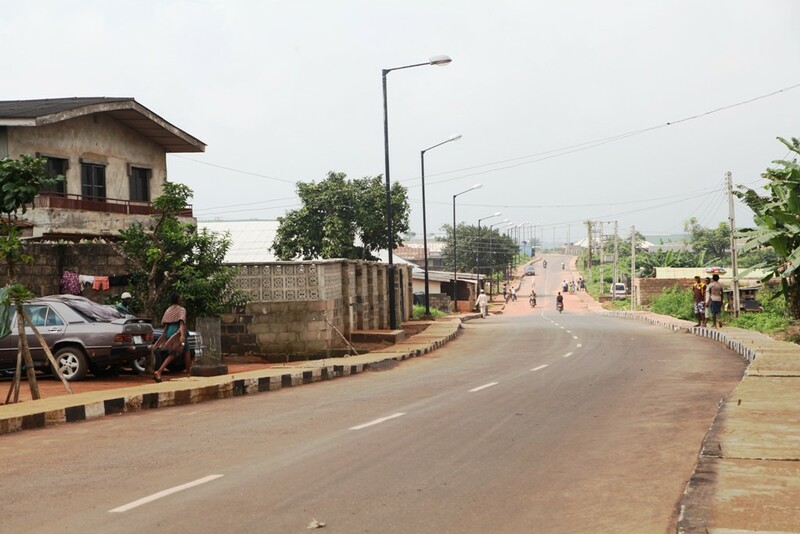 This is Mosafejo/Ilufe Road in Ojo Local Government. 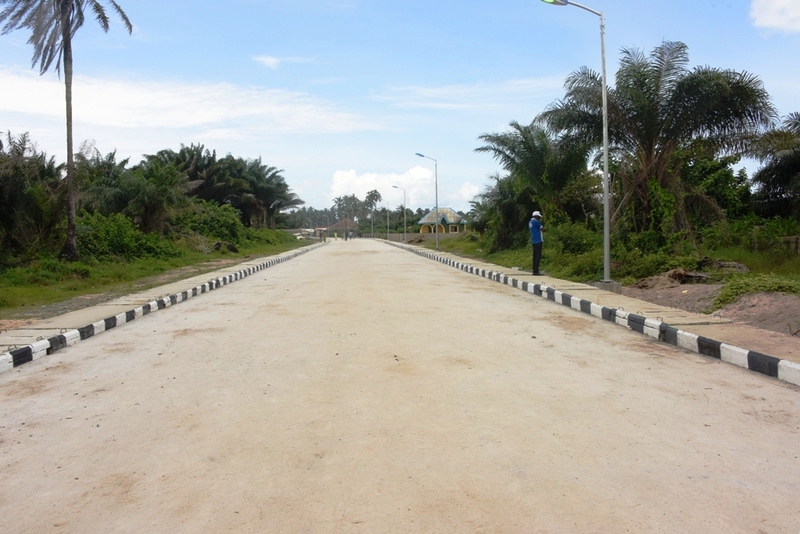 The new road is 450m long and 8m wide. 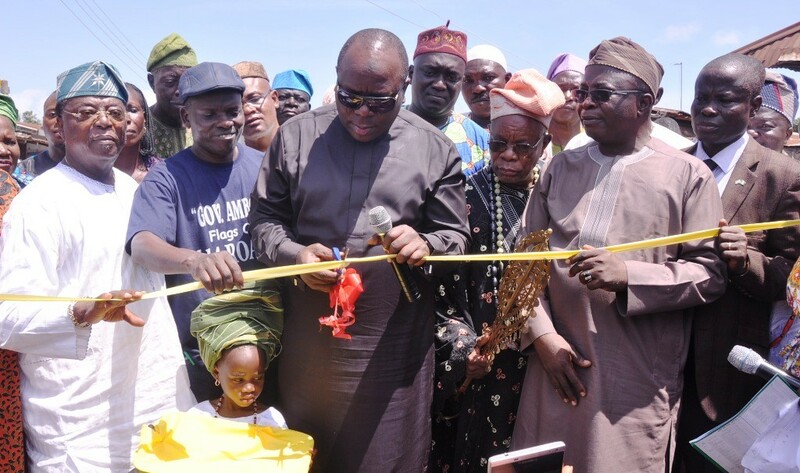 Newly constructed and commissioned Mosafejo/Ilufe Road in Ojo Local Government. 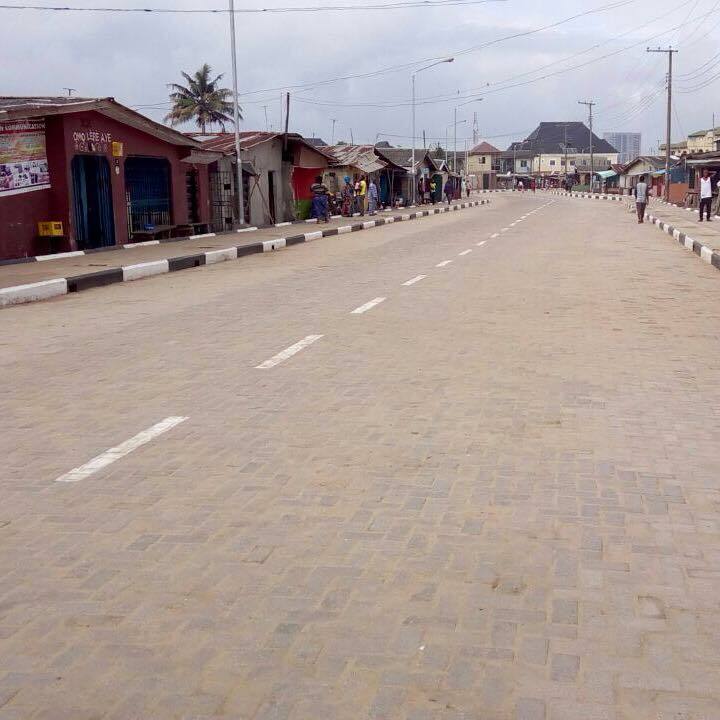 This is Goriola Oseni Street, Ojo Local Government. 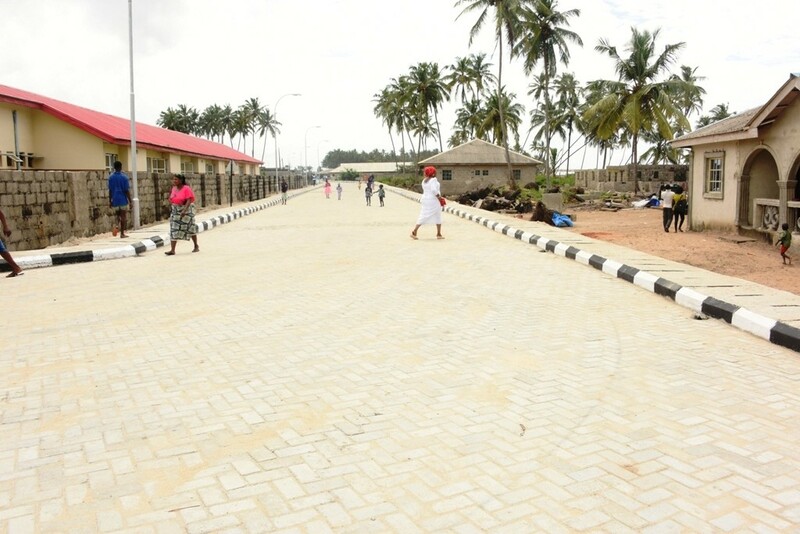 The new road is 450m long and 8m wide. Newly constructed and commissioned road in Goriola Oseni Street,Ojo Local Government. 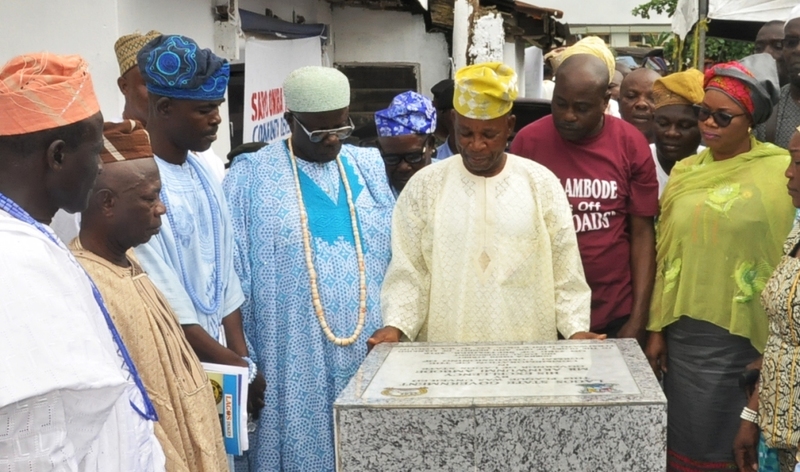 Newly constructed and commissioned Hundeyin Street in Badagry Local Government. 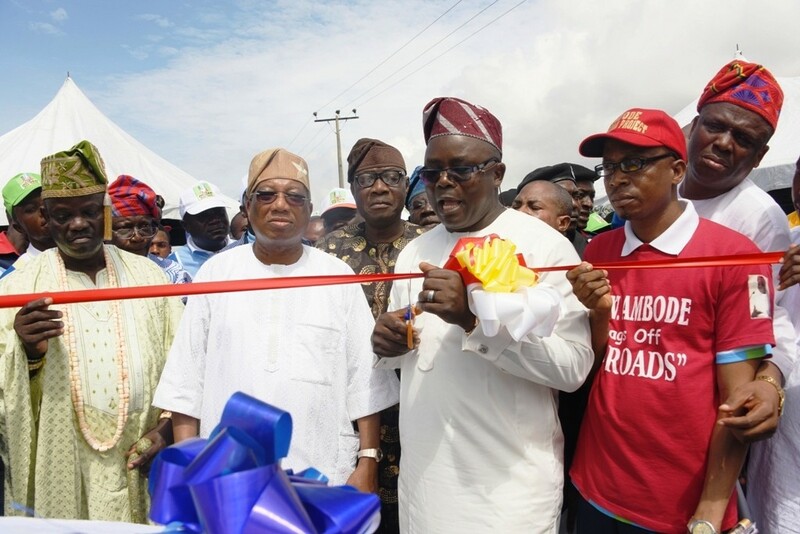 This is Hunwi Tande Road, Ajara Agamathen in Badagry Local Government. The new road is 472m long and 8m wide. 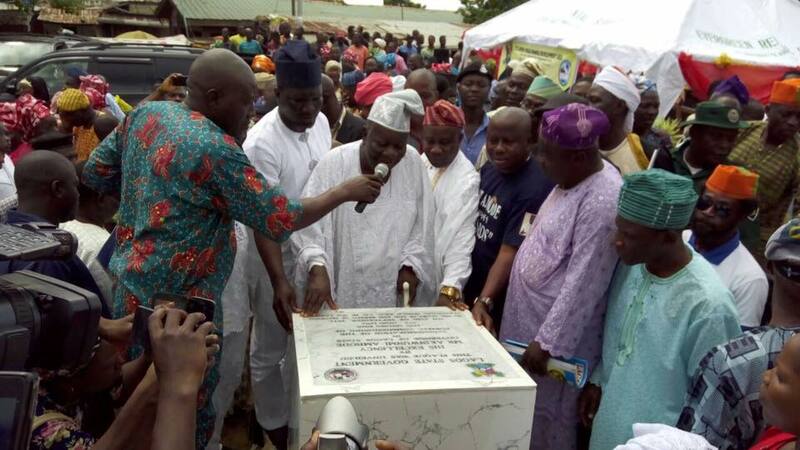 Newly constructed and commissioned Hunwi Tande Road, Ajara Agamathen in Badagry Local Government. 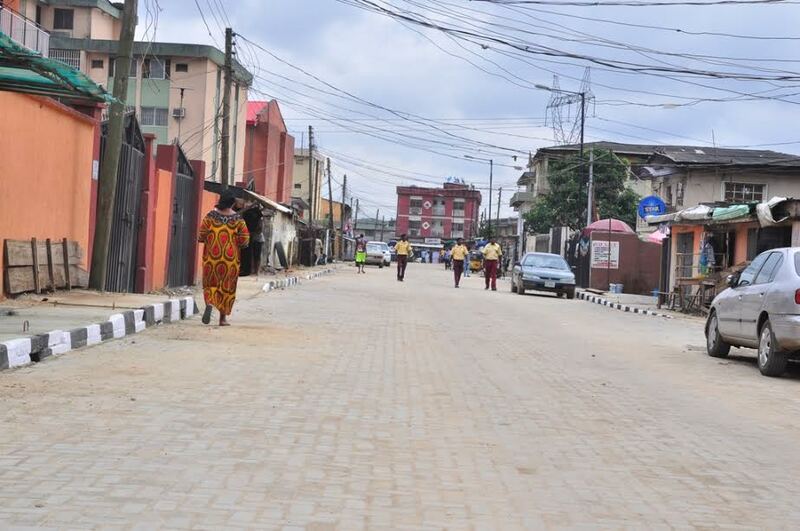 This is Ojuoto/Ajegunle Road in Lekki Local Council Development Area. 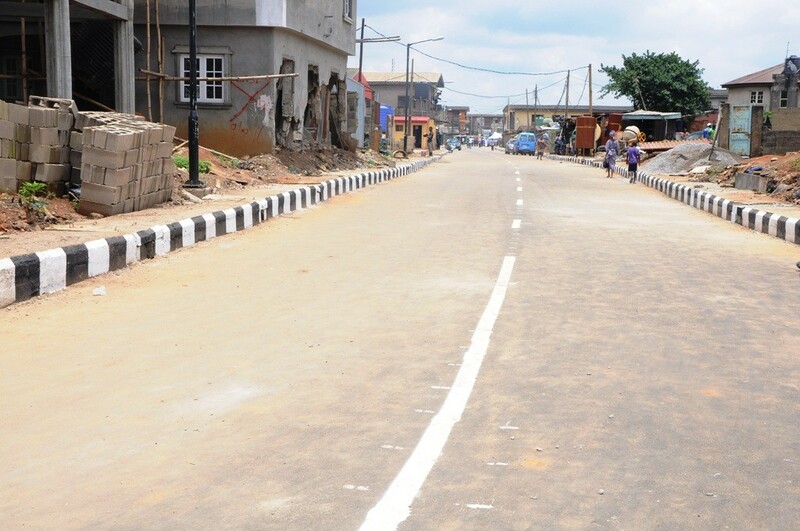 The new road is 680m long and 8m wide. 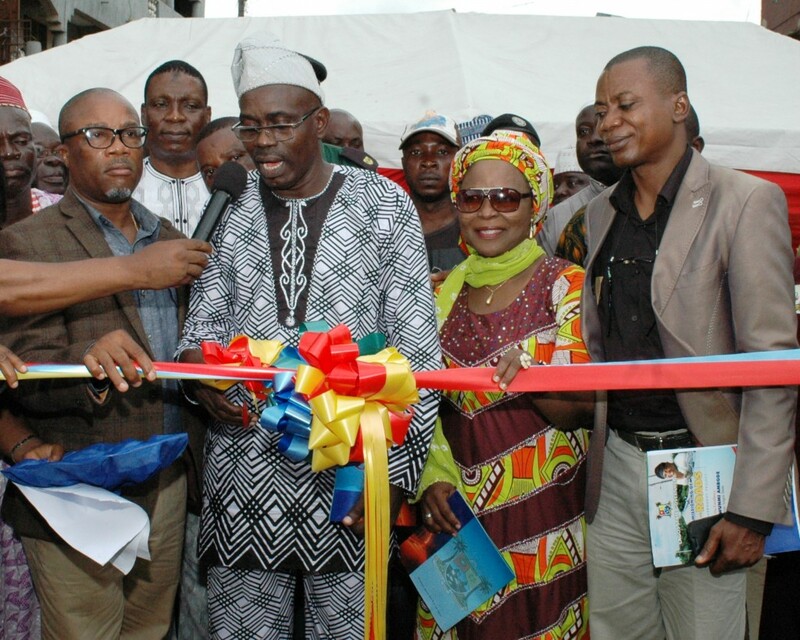 Newly constructed and commissioned Ojuoto/Ajegunle Road in Lekki Local Council Development Area. 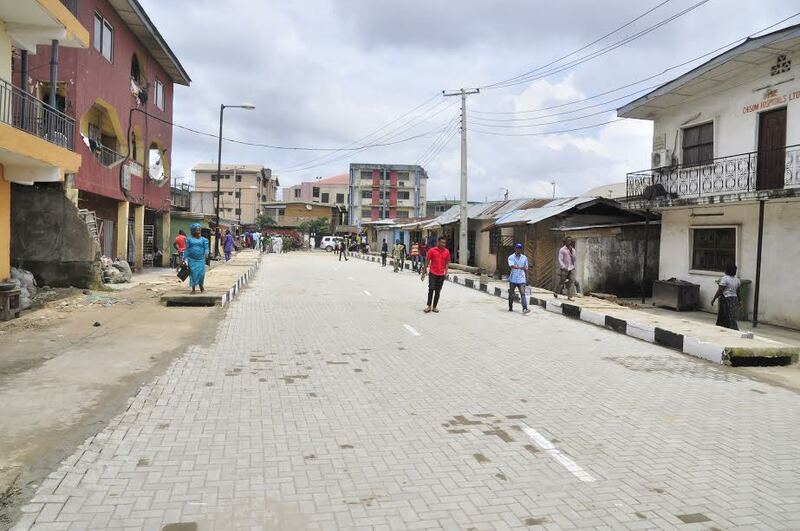 This is Otolu Township Road in Lekki Local Council Development Area. 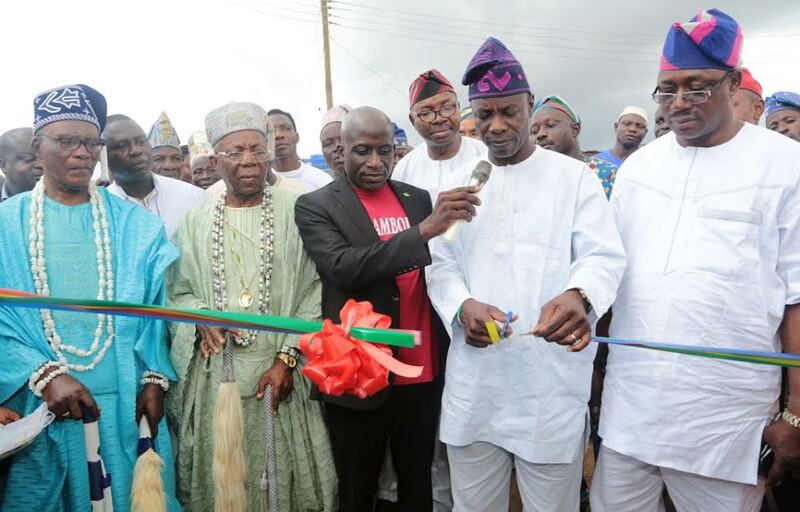 The new road is 590m long and 8m wide. 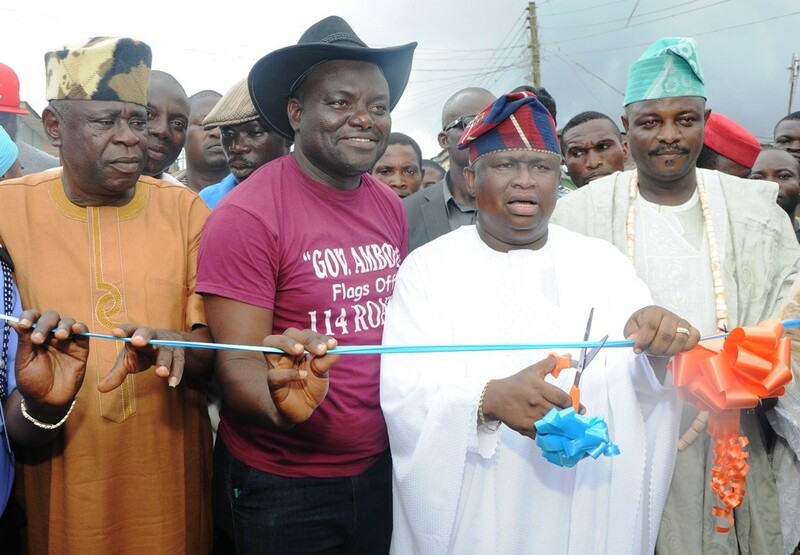 Newly constructed and commissioned Otolu Township Road in Lekki Local Council Development Area. 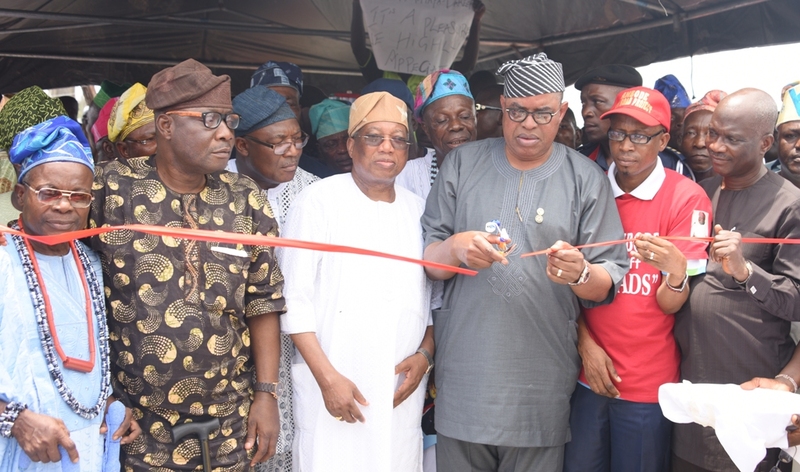 This is Jolaosho Street/Balogun Oyebisi Link Road, Alimosho Local Government. 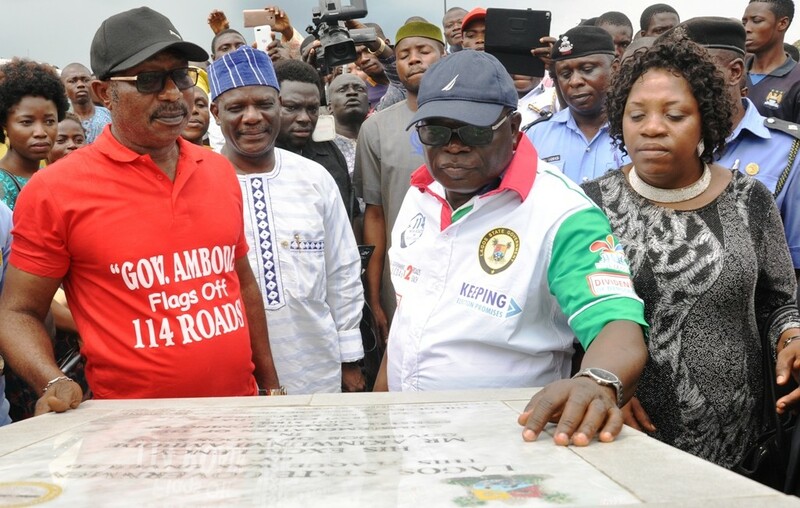 The new road is 538m long and 8m wide. 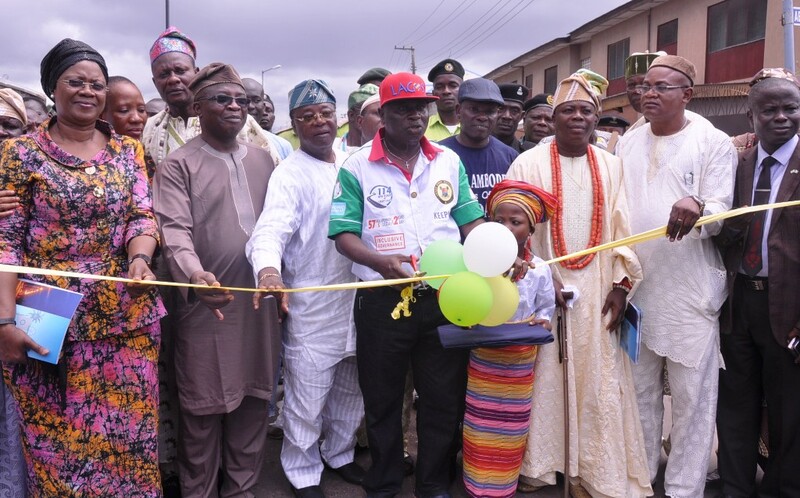 Newly constructed and commissioned road in Jolaosho Street/Balogun Oyebisi Link Road, Alimosho Local Government. 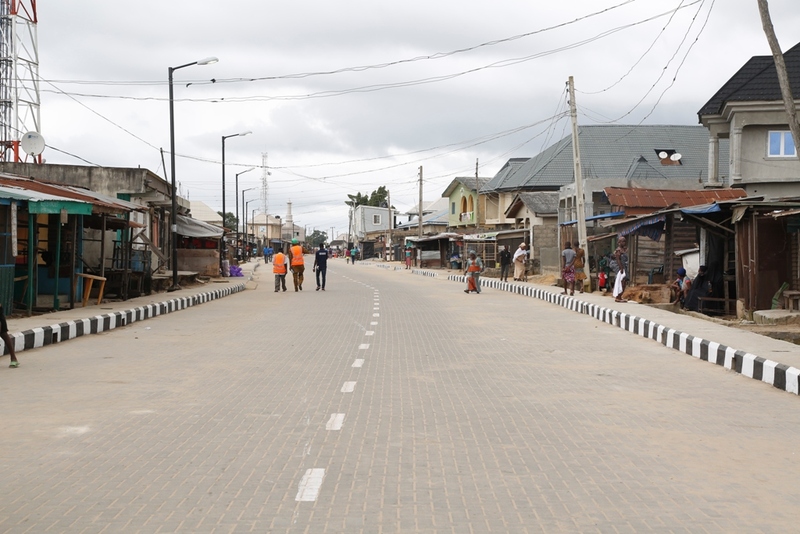 This is Owodunni Street, Agbado-Okeodo Local Council Development Area. The new road is 420m long and 8m wide. 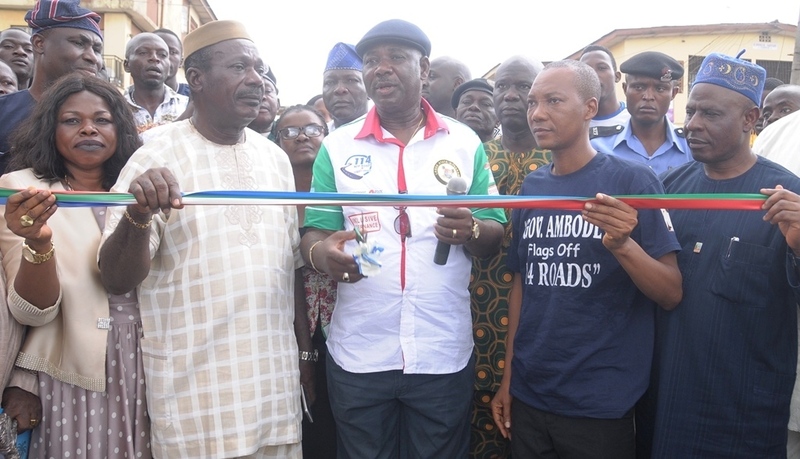 Newly commissioned and constructed road in Owodunni Street, Agbado-Okeodo Local Council Development Area. 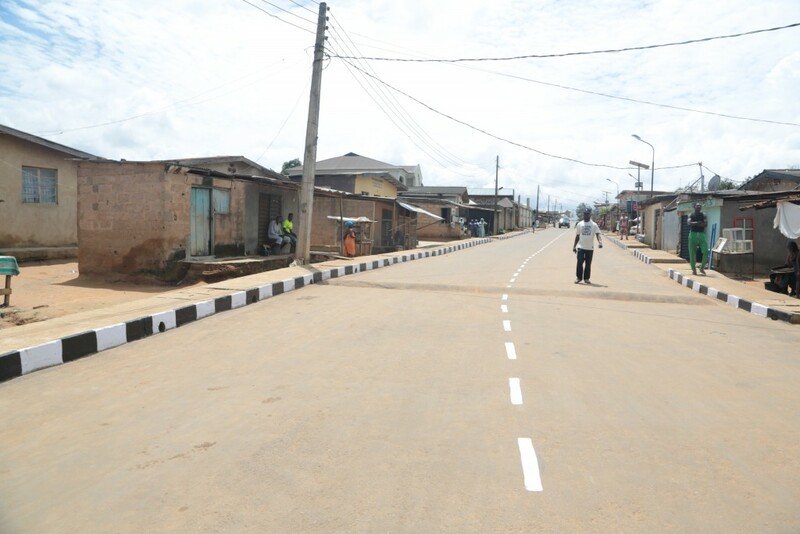 This is Sotunde Street in Agbado-Okeodo Local Council Development Area. 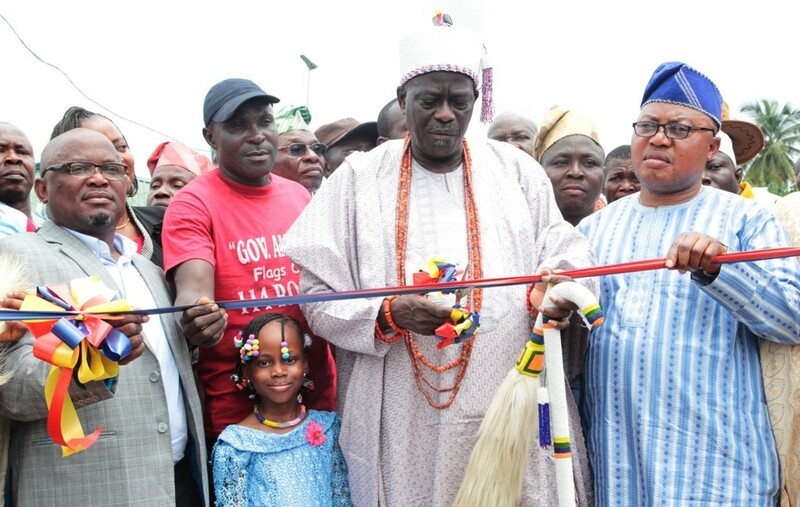 The new road is 303m long and 8m wide. 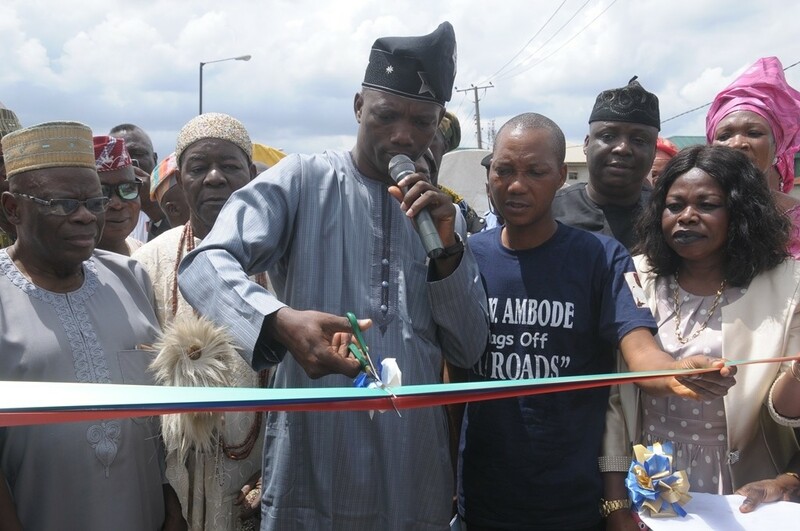 Newly constructed and commissioned road in Sotunde Street in Agbado-Okeodo Local Council Development Area. 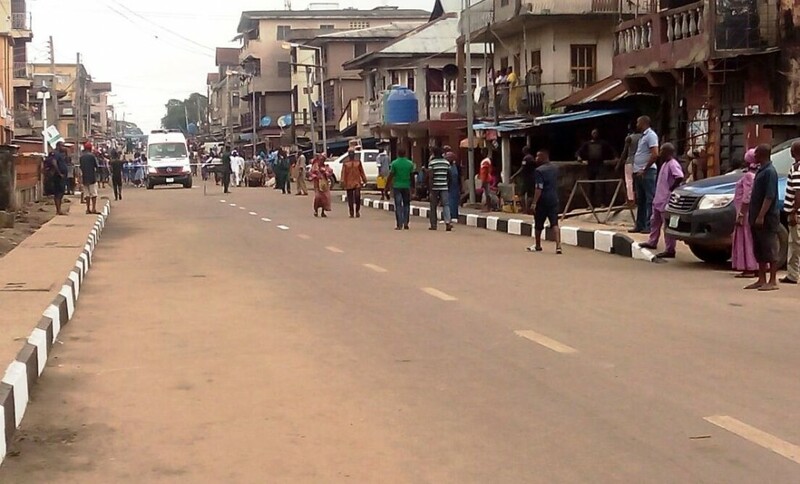 This is Opere Street in Coker-Aguda Local Council Development Area. The new road is 580m long and 8m wide. Newly constructed and commissioned road in Opere Street in Coker-Aguda Local Council Development Area. 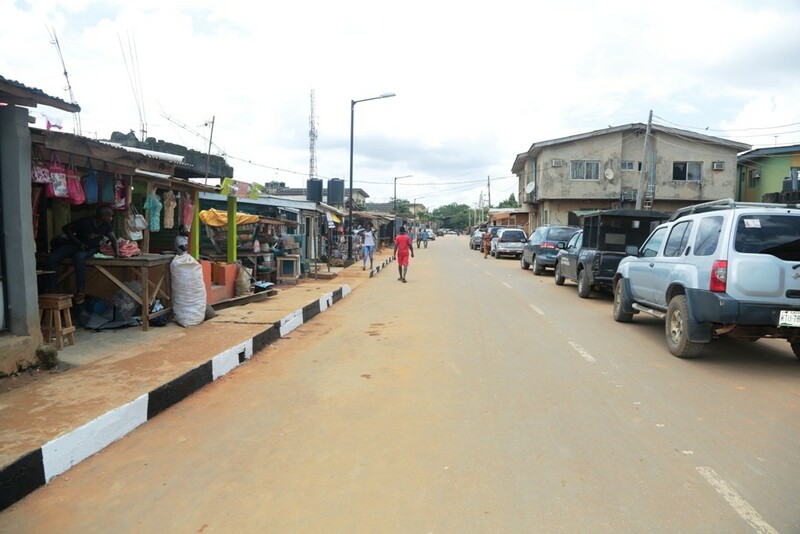 This is Bolaji Banwo Street in Coker-Aguda Local Council Development Area. 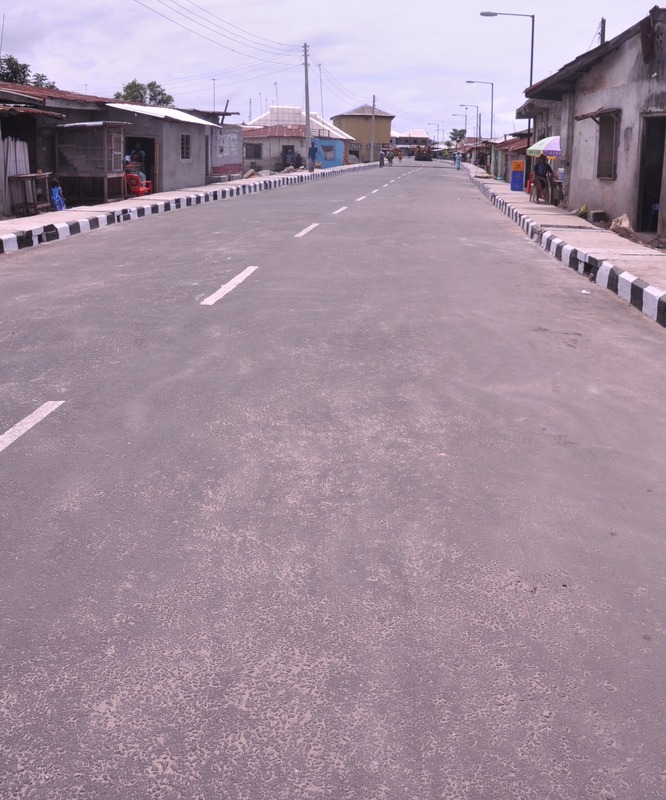 The new road is 500m long and 9m wide. 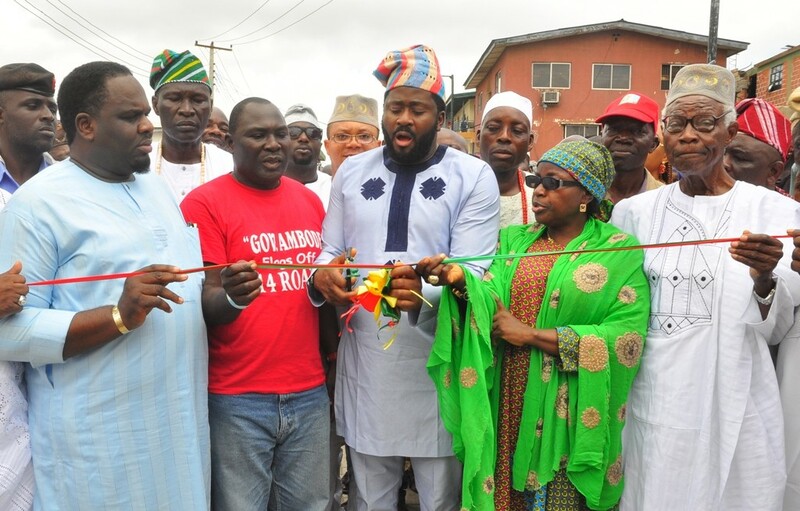 Newly constructed and commissioned road in Bolaji Banwo Street in Coker-Aguda Local Council Development Area. 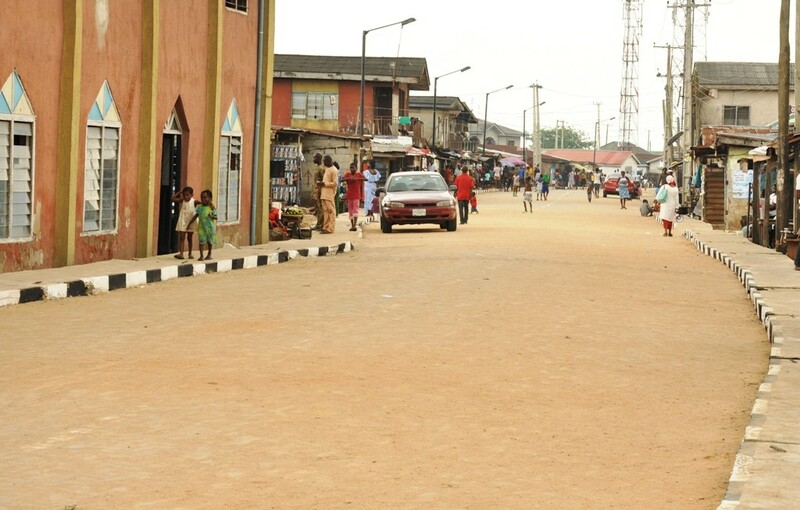 This is Odebiyi/Dosumu Street, Ifako Ijaiye Local Government. The new road is 595m long and 7.5m wide. 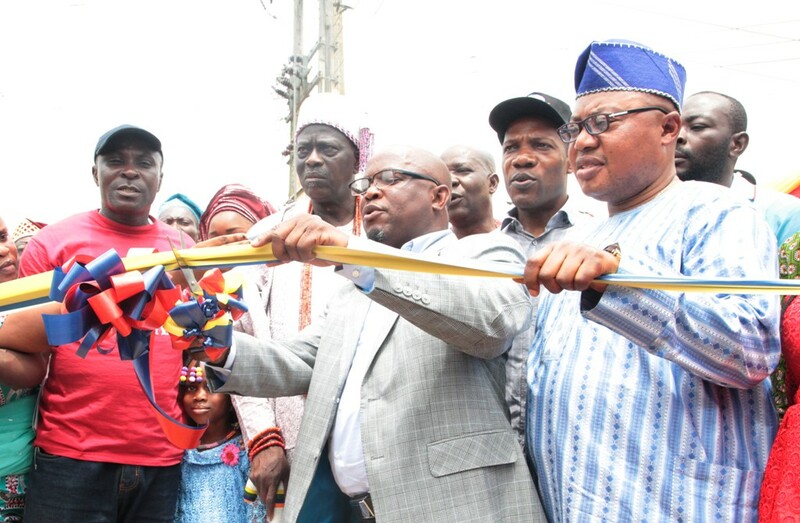 Newly constructed and commissioned road in Odebiyi/Dosumu Street, Ifako Ijaiye Local Government. 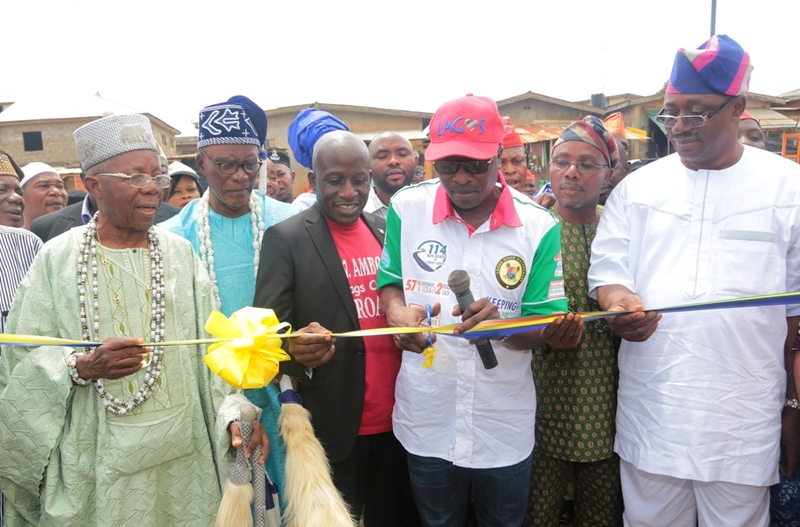 Newly constructed and commissioned road in Kayode Street, Off Iju Ajuwon Road, Ifako in Ifako-Ijaye Local Government. 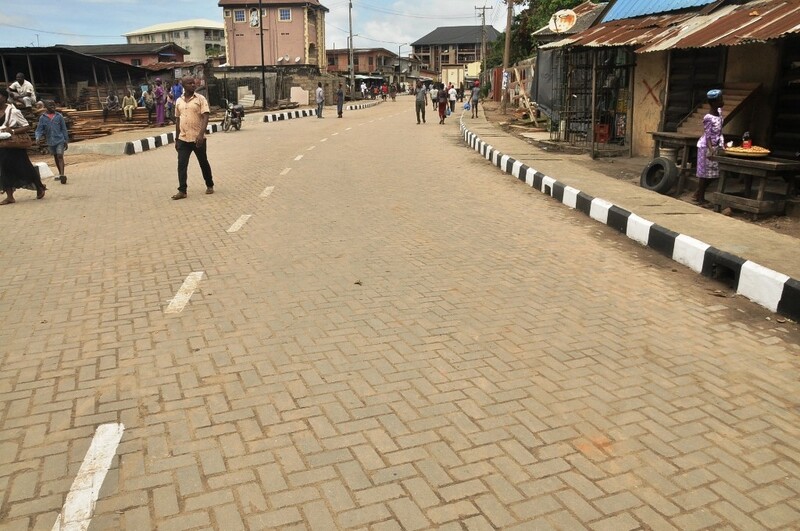 This is Zion Street, Agboyi-Ketu Local Council Development Area. The new road is 572m long and 9m wide. 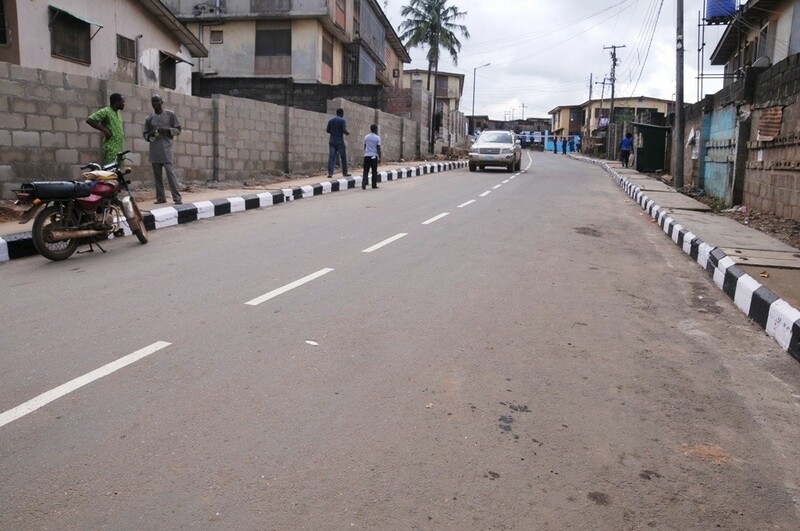 Newly constructed and commissioned road in Zion Street, Agboyi-Ketu Local Council Development Area. 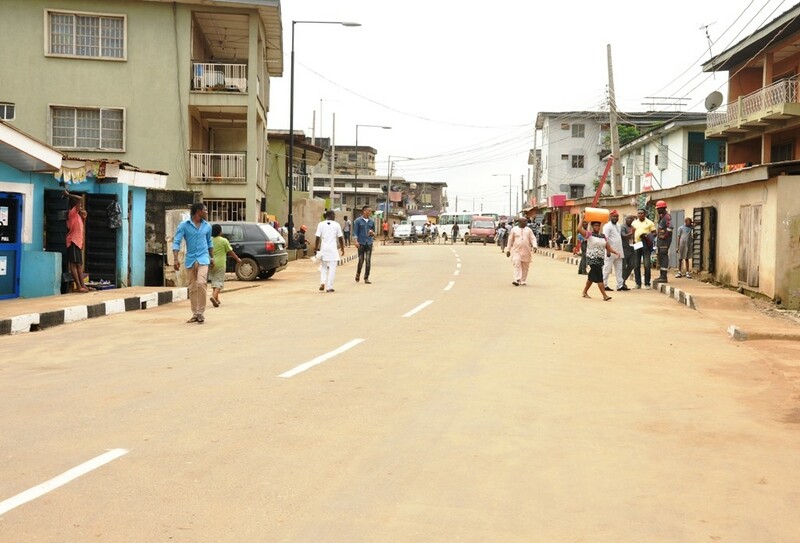 This is Adedoyin Street, Agboyi-Ketu Local Council Development Area. 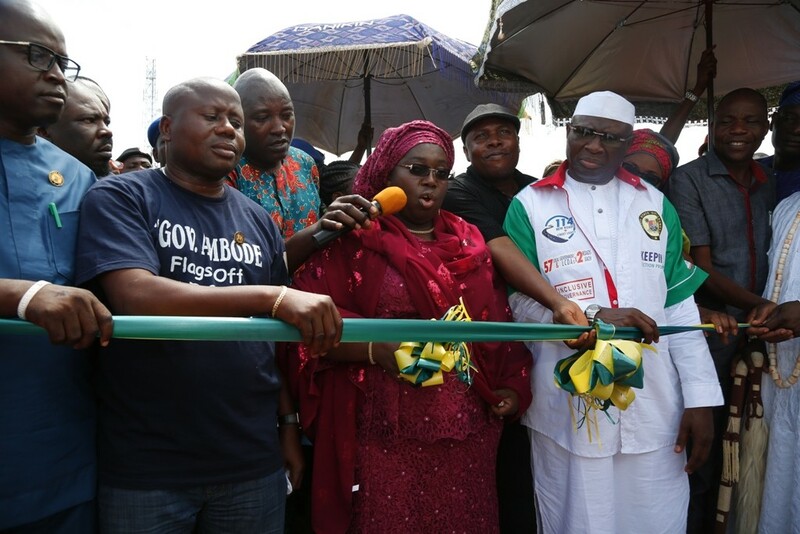 The new road is 560m long and 9m wide. 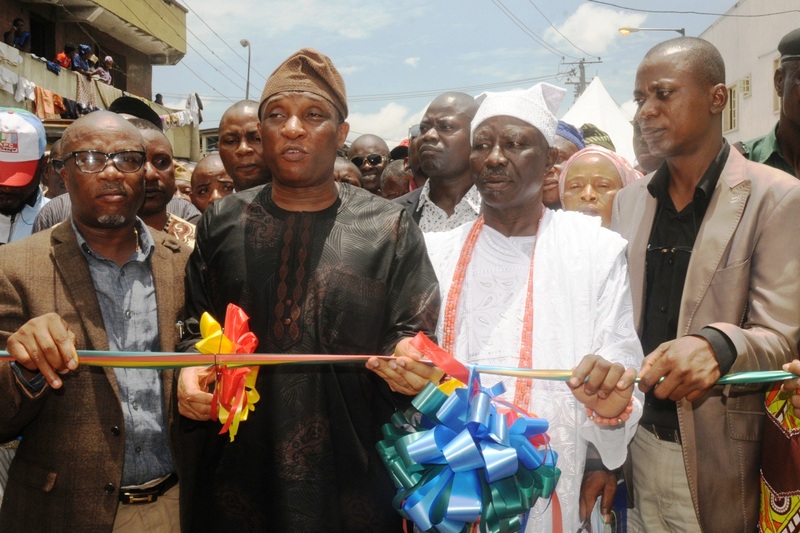 Newly constructed and commissioned road in Adedoyin Street, Agboyi-Ketu Local Council Development Area. 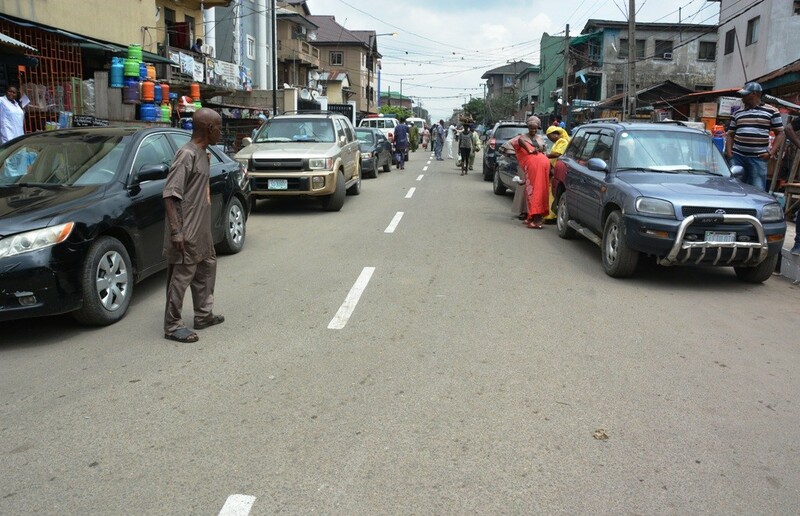 This is Imam Salisu Street, Imota Local Council Development Area. The new road is 641.5m long and 7.5m wide. 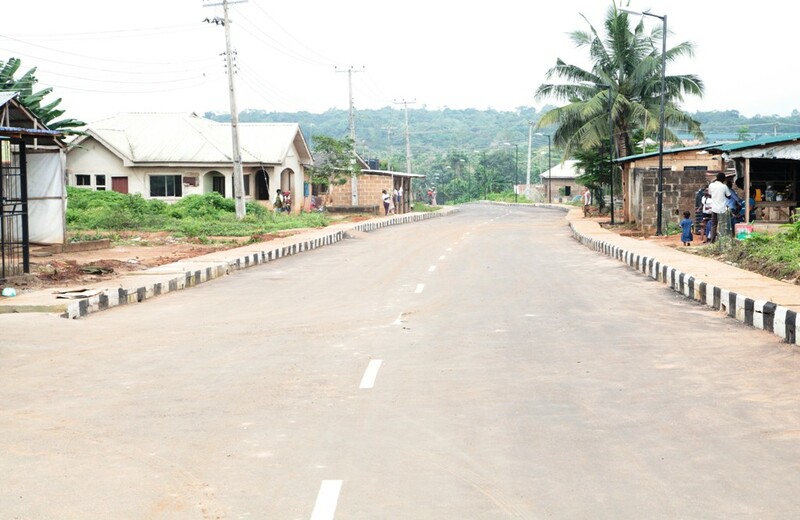 Newly constructed and commissioned road in Imam Salisu Street, Imota Local Council Development Area. This is Watch Tower Street, Imota Local Council Development Area. The new road is 590m long and 8m wide. 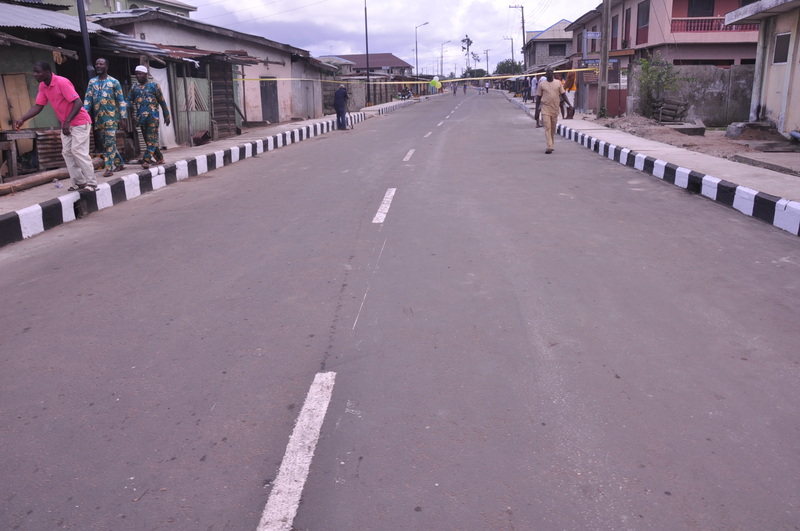 Newly Constructed and commissioned road in Watch Tower Street, Imota Local Council Development Area. 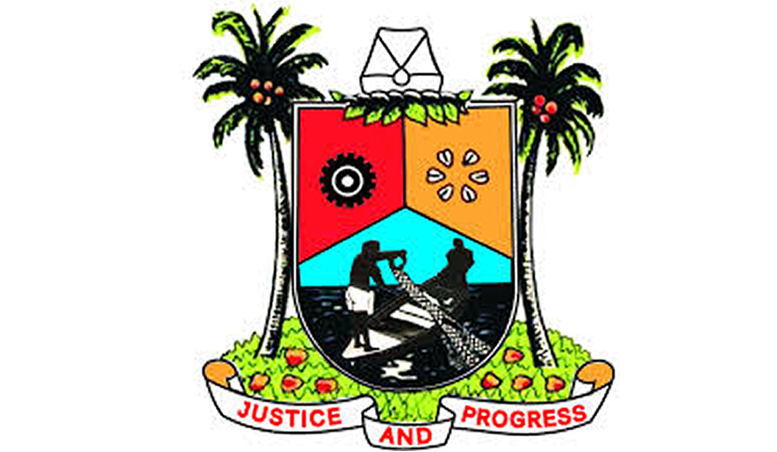 This is Bornu Way, Ebute Metta in Lagos Mainland Local Government. The new road is 600m long and 8m wide. 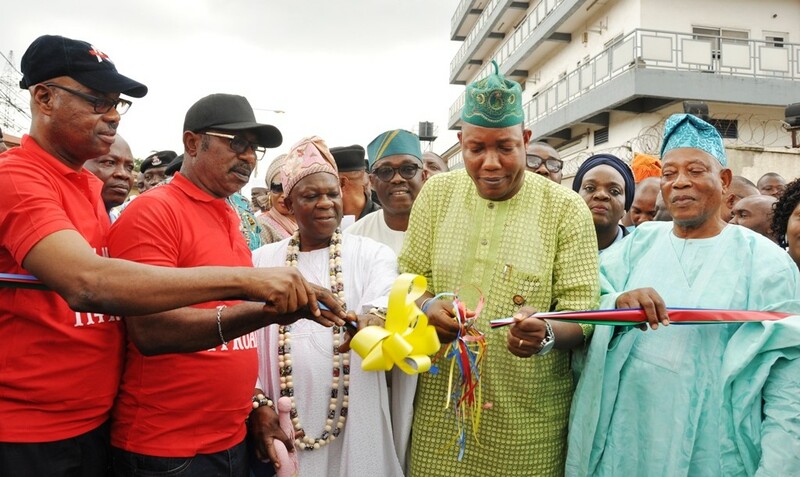 Newly constructed and commissioned Bornu Way, Ebute Metta in Lagos Mainland Local Government. 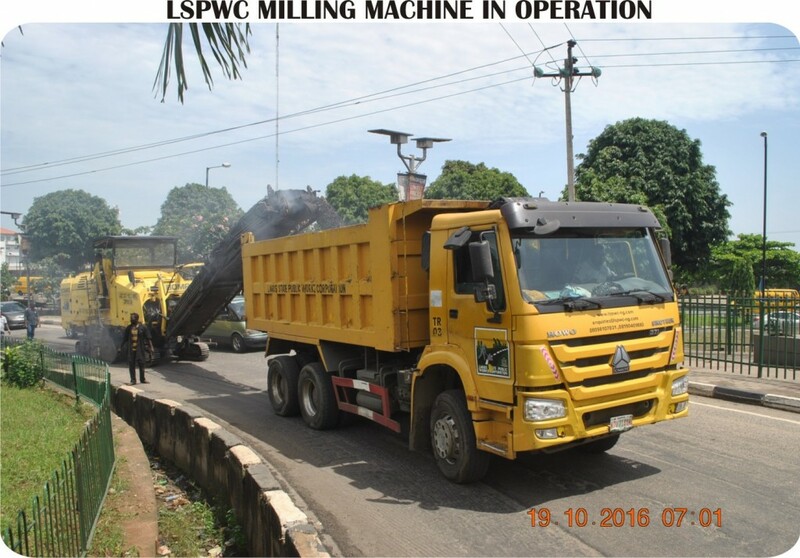 This is Babalola Ilogbo Okeagbo road in Oto-Awori Local Council Development Area.The new road is 600m long and 10m wide. 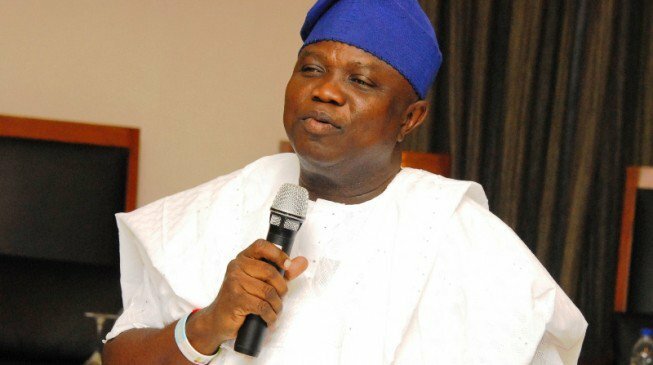 This is Oloto Street, Lagos Mainland Local Government. 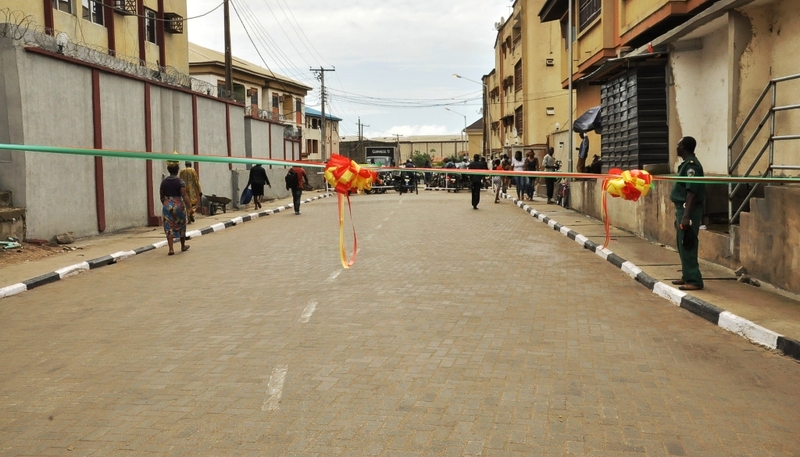 The new road is 325m long and 8m wide. 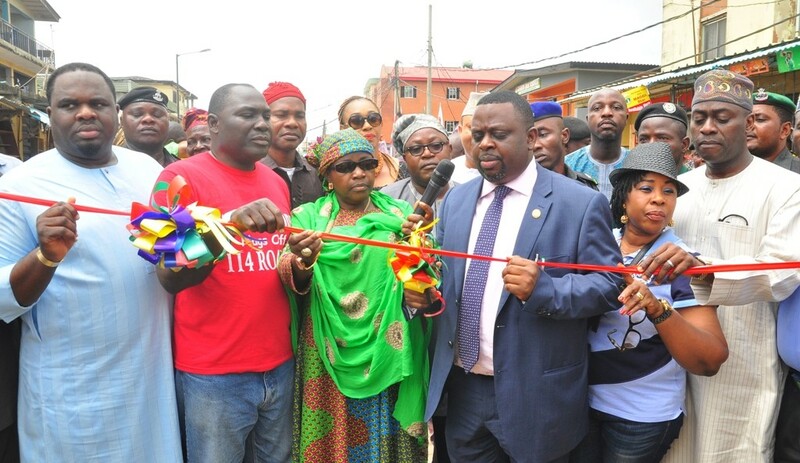 Newly constructed and commissioned road in Oloto Street, Lagos Mainland Local Government. 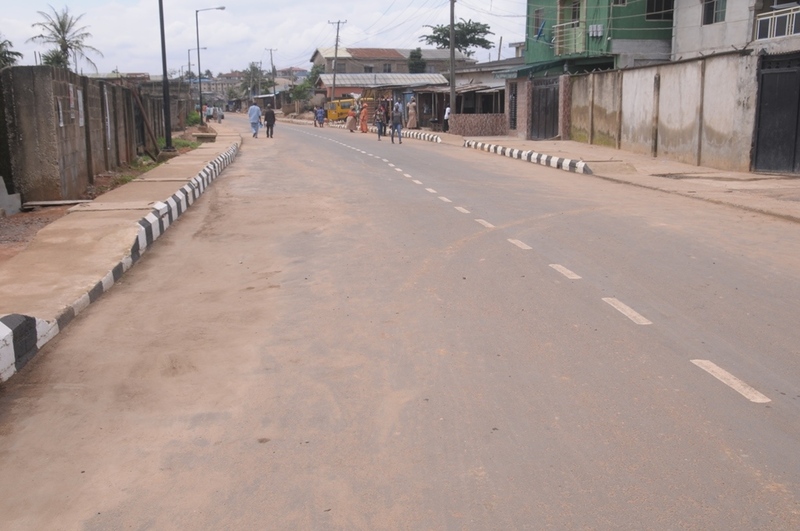 This is Ketu Adaloko Road in Oto Awori Local Council Development Area. The new road is 600m long and 10m wide. 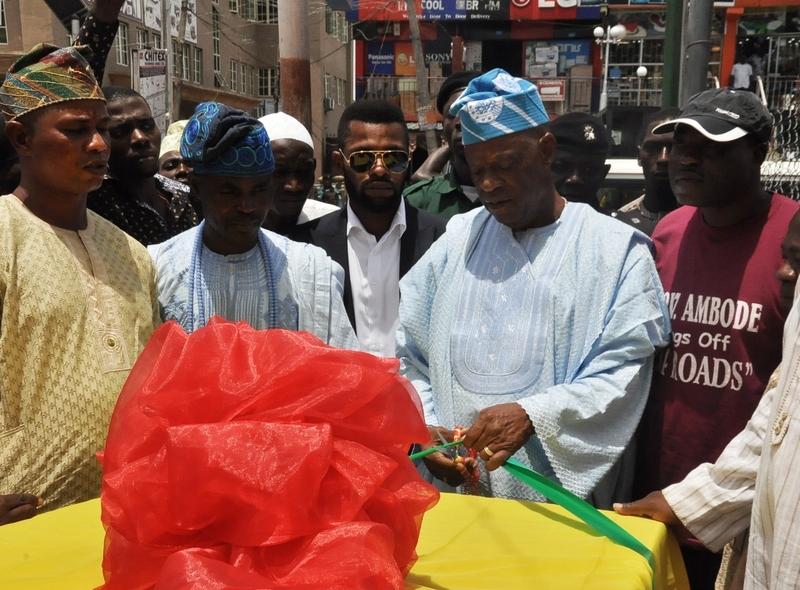 Newly constructed and commissioned Ketu Adaloko Road in Oto Awori Local Council Development Area.